Presente | Send a Message: Jailing kids and families for profit is shameful! I am urging you to reconsider your stake in the private prison industry. Private prisons are a dangerous and exploitative business. Beyond promoting mass incarceration broadly in the United States, for-profit prisons are now exploiting recent immigration policy changes to lock up entire families, including children. For-profit prison companies get paid for each day each person fills their cells — profiting from longer and harsher periods of confinement. This business model incentivizes a disregard for public safety, justice, and rehabilitation in the interest of increasing profit margins. To make matters worse, inadequate staff training, low wages, and insufficient resources make these some of the most dangerous workplaces in the country. Making money from incarceration is shameful. I urge you to immediately stop supporting an industry that profits from the exploitation of immigrant children and families and instead commit to social investments that prioritize human well-being. Recently, President Trump swapped one inhumane immigration policy for another — instead of ripping families apart, Trump is now imprisoning the entire family, children included. Trump isn't alone in making these decisions. We need to pay attention to who's behind the curtain, making a killing from incarcerating families. The answer is a familiar culprit: the private prison industry. For-profit prison companies are poised to rake in billions of dollars off of Trump's inhumane policies. Private prison conditions are some of the most dangerous in the country. In order to maximize profits, companies like GEO Group and CoreCivic cut back on staff training and medical care, while spending millions lobbying government to keep their prisons filled by whatever means necessary. We can stop this. Please join us in telling investors and board members to get out of this exploitative business and instead commit to social investments that prioritize human well-being. Private prison companies see immigrant families and children as tools for massive profit. Those who continue to incarcerate for profit will be held accountable for their inhumanity and greed. "How Private Contractors Enable Trump’s Cruelties at the Border." The Nation. June 20, 2018. 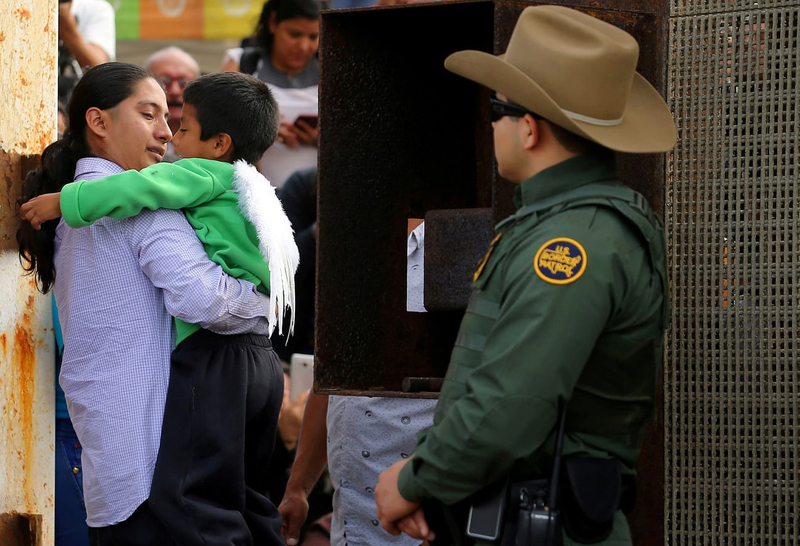 "Who is Profiting from Incarcerating Immigrant Families?" Eyes on the Ties. June 21, 2018.